Buffy - How Will She Fare Without Whedon? Ever since Variety announced that Buffy the Vampire Slayer was getting a reboot minus Joss Whedon, fans have been in an uproar. First off, how could they remake such an iconic franchise that has shaped the youths of many? Secondly, how could they remake it without creator Joss Whedon? It sounds like a travesty, a bad idea, and unfortunately a Hollywood norm. I cannot lie, I did like the original BTVS movie. It was campy, it was fun, and it had Rutger Hauer in it. That equals instant win for me. But as much as I enjoyed the movie, I was in love with the series. Whedon's vision seemed to come through even more and what we got was a show that tackled the horrors of growing up with the horrors of the supernatural. Death, sexuality, careers, and destiny were all dealt with as we grew alongside these characters. And Buffy served as a feminist figure for many, proving to little girls everywhere that they could do anything they wanted because they were strong. And now, as is the cycle of Hollywood, a good idea that worked before is going to be gambled on to pay out again. Warner Brothers and Atlas Entertainment are teaming up to bring our favorite vampire slayer back to the big screen, but this time without the mark of Whedon. While he has maintained development in conjunction with Dark Horse Comics to continue his original vision, this big screen remake won't involve him. 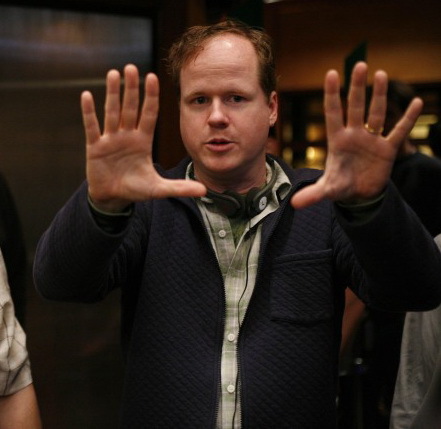 Understandably, Whedon was a bit saddened over the news, as he told E! Online's Kristin Dos Santos. It does seem that mining well-loved stories has become more commonplace in Hollywood. The idea that if fans love something, they'll love it even more if it's rebooted has sometimes worked and other times failed miserably. The fear is that this endeavor will fall into the latter category. For many fans, Buffy wasn't simply a character, but a part of their lives as they were being shaped into the people they are today. Taken out of Whedon's hands, are we going to like the result? What do you think of the reboot idea? Will new fans discover the wonders of vampire slaying or is this a story better left alone? Either way, the absence of Joss Whedon will surely be felt and I fear that will translate into a BTVS that I won't be able to recognize anymore. She saved the world...a lot. You can follow Kimberly on Twitter or Livejournal. Check out her site for more articles.